Creates a prefect blank pdf! Home › Forums › Bugs and Troubleshooting › Creates a prefect blank pdf! This topic contains 7 replies, has 2 voices, and was last updated by admin 1 year, 5 months ago. 4. script warning keeps popping up when I go to map a field. We agree, thanks for reaching out. Sounds like you may have a couple of different issues going on… It would be fastest if you provide access to your installation so that we may be specific with our assistance. If possible, complete this form to provide access.
. Screenshot of the entire PRO2PDF Export screen with the Form/Dataset/Layout selected, be sure to include at least two field mappings.
. Screenshot of the plugin’s shortcode in the Formidable form’s “On Submit Message Box”. I submitted the form – the upload file link would not take my file. I uploaded it to the media folder in wp and left a link to it in the submission. I forgot to add…. 4. Once you get to the point of adding the email address then you can submit the form, there are no other required fields. 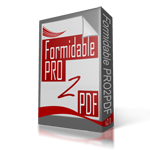 The PDF form MUST be uploaded to the PRO2PDF plugin from the EXPORT tab, there are no other options, it must work. If the PDF form is too large (more than 4mb) you’ll need to shrink the form. Regarding the 1,2,3,4 list above, what you are describing, or are you requesting support? The form is uploaded to the plugin and the fields mapped. the download link works fine. the problem I am having is the conditional logic in the form actions send email settings. I have a radio button in the form (4th field in the form) that toggles to sent the email or not. I have the conditional logic to do the action if the email forms field equals yes. And the action trigger set to create. On the pro2pdf I have the check box selected to “Send Forms To Customer & Agent” Which is the name of the Form Action. I know that my email is working as I have another form that sends me email each time an entry is made. The above entry….“the upload file link would not take my file. I uploaded it to the media folder in wp and left a link to it in the submission. I forgot to add….” is referring to filling out your form on your site. (the form where I gave you all the info to access my site) the upload area where I upload my pdf for you to view would not upload it. So I placed it in the media folder with a url for you to be able to access it. Based on the description of your issue it sounds like a question for the great team at Formidable Forms. Once the email is sent and received the PDF should be attached as expected. Take a look at this support thread before entering a support ticket with Formidable, it may solve your issue. Let us know if you experience any issues with PRO2PDF. We remain at your service. We’ll login, take a look, and get back to you soon. The issue was within Formidable Forms, caused by using a variable in the option “Yes – Customer & [first_name] will receive emails w/attached forms.“, we changed the conditional logic to NOT EQUAL TO “No – I prefer the extra work of downloading them.” and all works as expected. Reply To: Creates a prefect blank pdf!